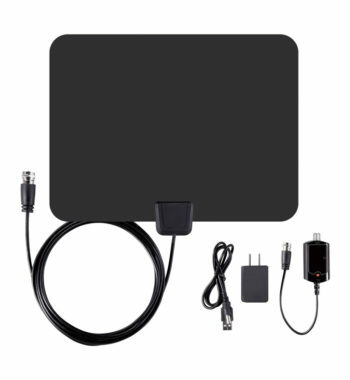 The Ematic HDTV Antenna and Amplifier boosts the reception of your digital or analog signal television. 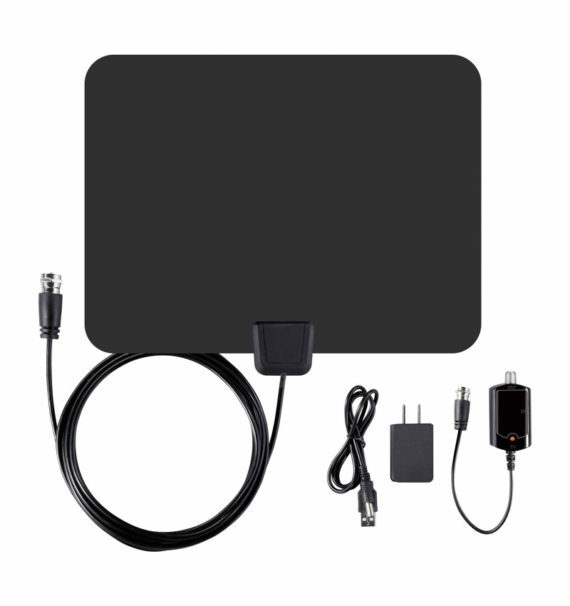 It receives free broadcast HD TV signals with enhanced gain, range, and frequency performance. 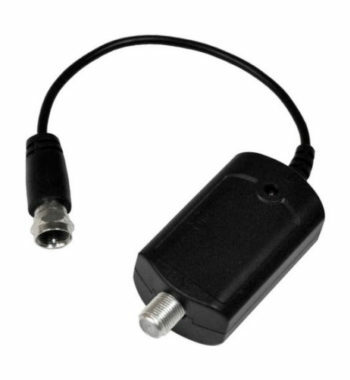 The amplifier will enhance the performance of passive antennas in challenging areas of reception. 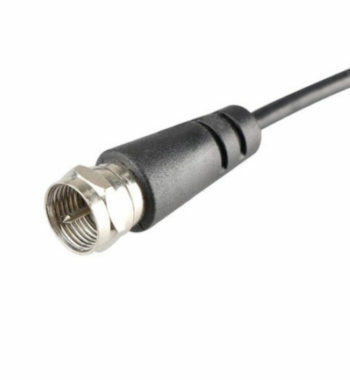 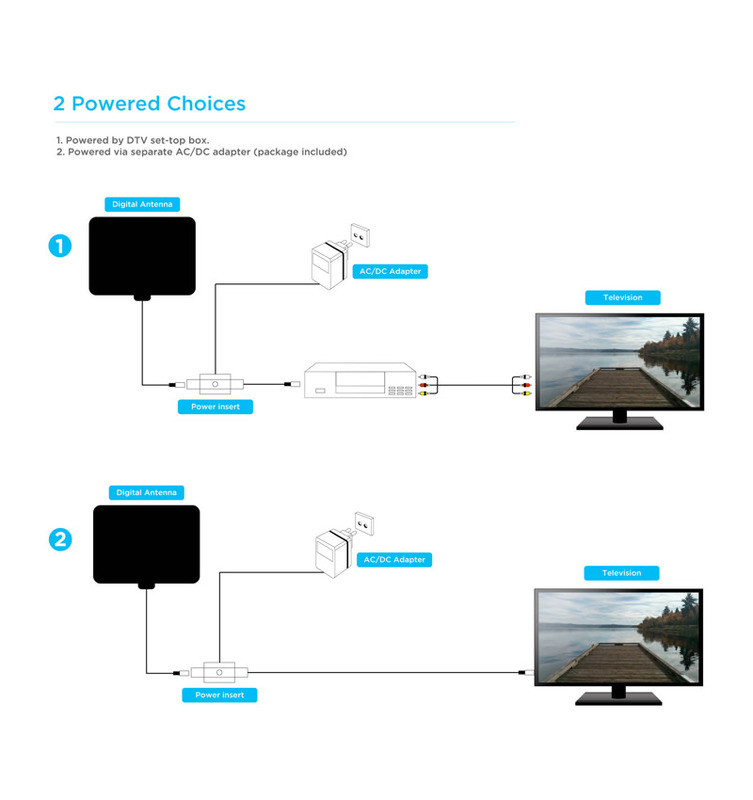 Connect the cable of the Ematic antenna to the input jack of the amplifier, then connect the amplifier’s built-in cable to the input on your TV/converter box. 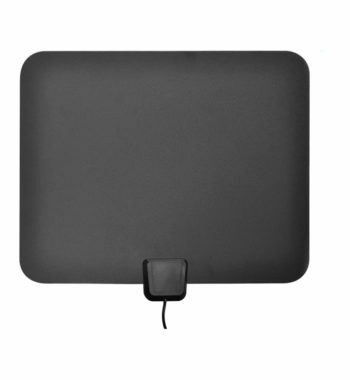 It will amplify the signal by 20 miles and features a 50-mile range. 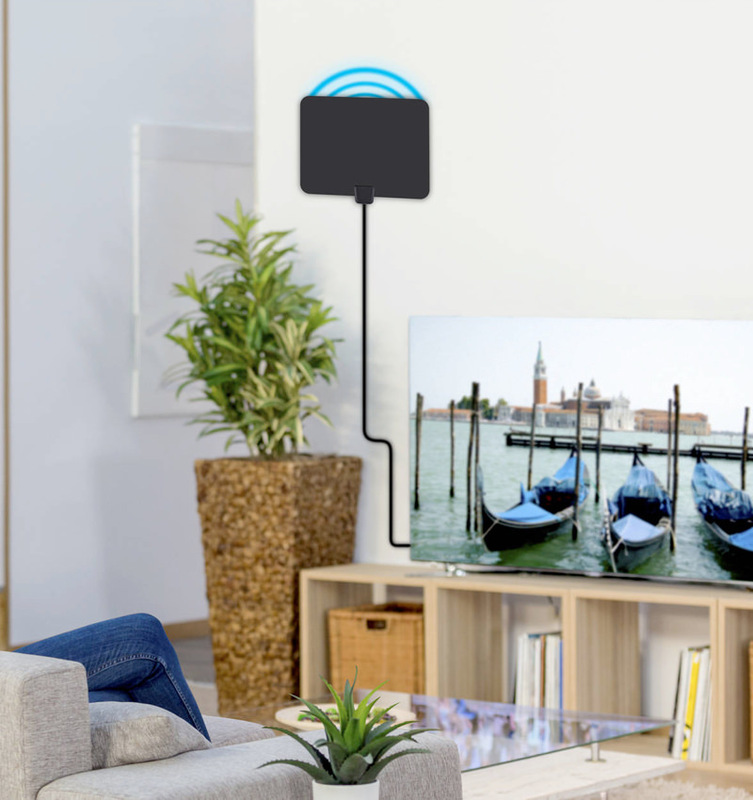 The ultra-thin indoor antenna is sleek and unobtrusive. 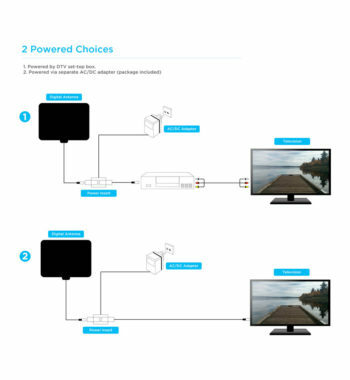 Simple to install and you have the option to mount it on your wall near your entertainment area. The channels available is dependent upon your location with the opportunity for a variety of choices. 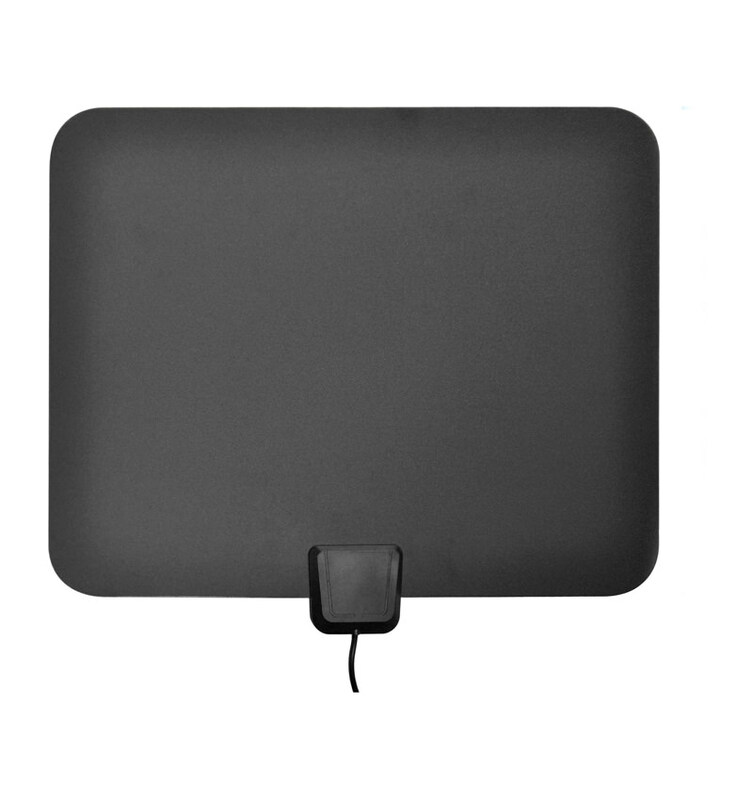 This antenna is self-adhesive, making for a quick and easy installation. The adhesiveness coupled with the antenna’s multi-directional nature ensures that the antenna’s placement is long lasting and requires minimal adjustment. 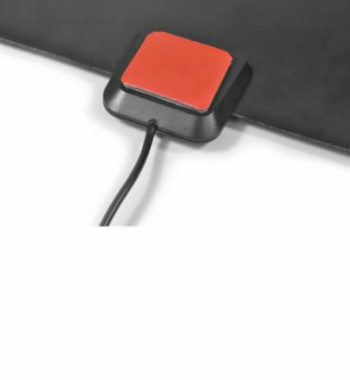 This device also comes with a 13.2 ft cable, allowing for convenient versatility in positioning options.